With the DirActNI framework, the user is able to control the environment directly and without having to come into contact with any physical controllers or sensors. 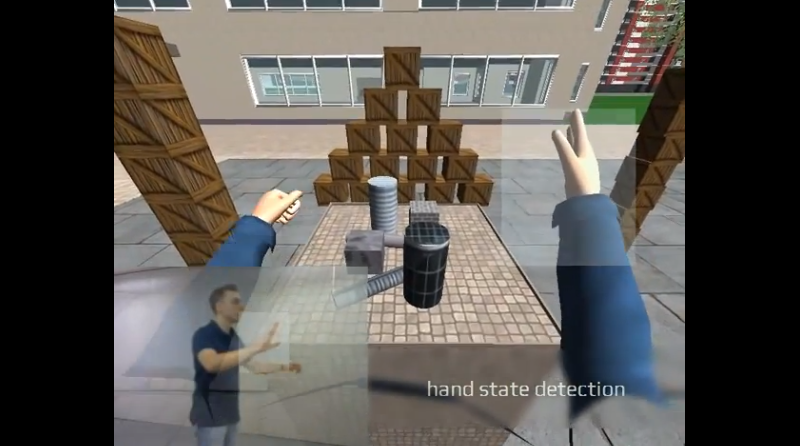 The primary goal was to implement and evaluate contactless 3D interaction techniques. Let's just say it's a good bet he passed with flying colours. Check out the video below to see what I'm getting at and be sure to visit http://www.DirActNI.de for more info on features and different use cases.